Literacy and Development is a collection of case studies of literacy projects around the world. The contributors present their in-depth studies of everyday uses and meanings of literacy and of the literacy programmes that have been developed to enhance them. 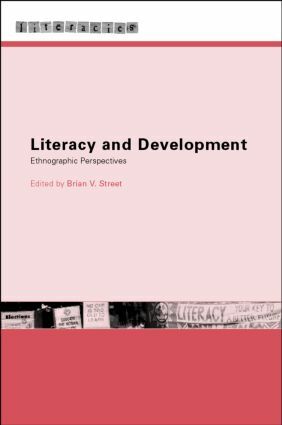 Arguing that ethnographic research can and should inform literacy policy in developing countries, the book extends current theory and itself contributes to policy making and programme building. A large cross-section of society is covered, with chapters on Women's literacy in Pakistan, Ghana, and Rural Mali, literacy in village Iran, and an 'Older Peoples' Literacy Project. This international collection includes case studies from: Peru, Pakistan, India, South Africa, Bangladesh, Mali, Nepal, Iran, Eritrea, Ghana. ‘LITERACY—YOUR KEY TO A BETTER FUTURE’? Can an ethnographic researcher find the links?